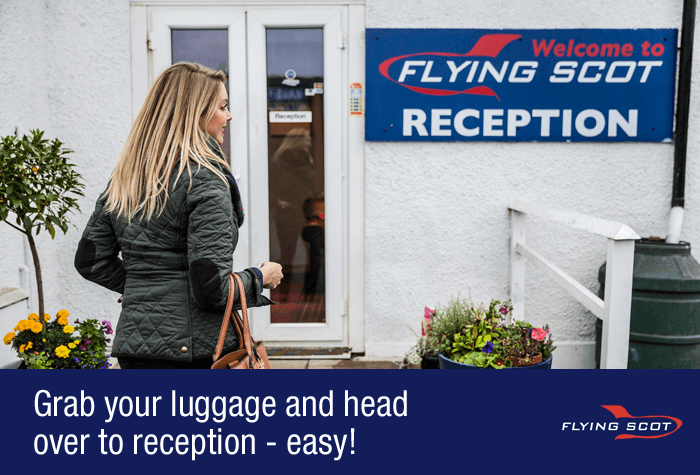 It's called Flying Scot for a reason - you'll be at the terminal in just 3 minutes, whisked away from the car park by its own speedy coach service that runs whenever needed. Meanwhile, your car will be tucked safely away in a car park that's surrounded by an electrified fence and patrolled by guard dogs. Incredibly close with excellent security, book this car park safe in the knowledge that you've made a great choice. When you arrive - Park outside the car park's reception and one of the merry Flying Scot crew will take your keys and park your car for you while you catch the transfer bus. It really couldn't be easier. The car park's own coach runs every 15-20 minutes, 24 hours a day, and takes 3 minutes to reach the coach park at the airport. You'll then just need to walk 5 minutes to the terminal from the coach park. The coach is included in the price. It's so fast, you won't even realise you've taken a transfer at all, and it's included in the price. While you're away, your car will be stored in a secured compound surrounded by an electric fence. 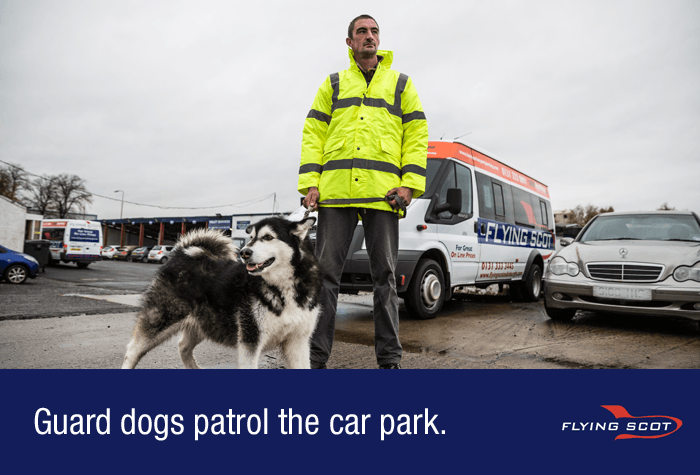 The Flying Scot staff are friendly, but the guard dogs they use to patrol the car park at regular intervals aren't! Floodlighting and CCTV are in use and you need to enter a security code to exit the car park, so you can be safe in the knowledge that your car is being looked after. When you get back, use the free phone in the arrivals lounge to summon the coach to pick you up. When you get back, your car will have been retrieved from the secured car park and waiting for you when you return to reception. Grab your keys and the code to exit the car park, then you're off home. 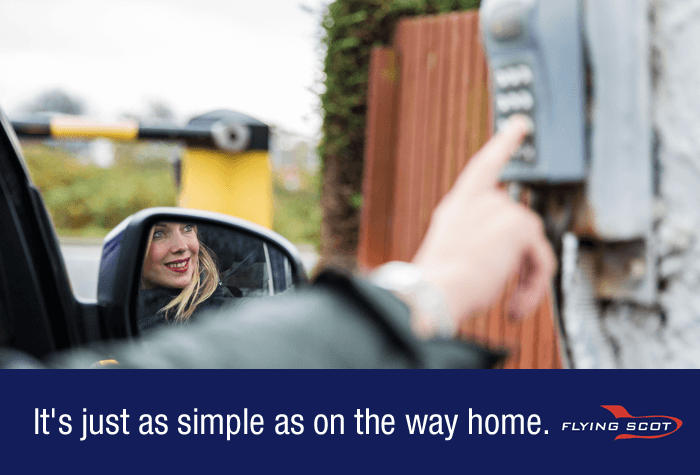 It's the speediest way to fly through parking your car at Edinburgh airport. You will need to take a copy of your confirmation with you to the car park. 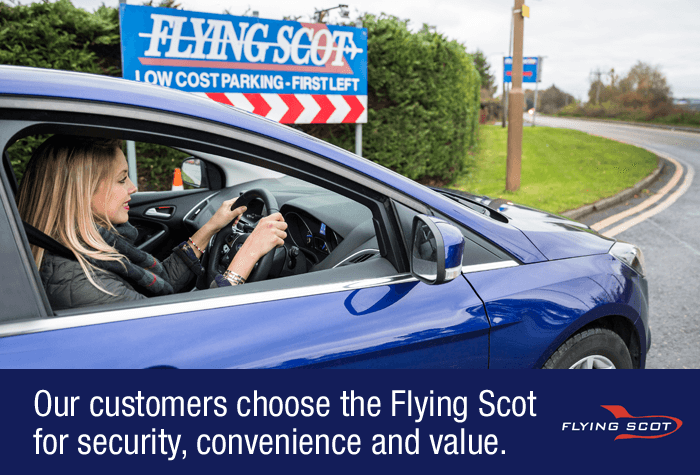 Your Flying Scot driver will inspect your car, and make note of any damage, but if you're not there when its inspected, you cant claim for any problems. 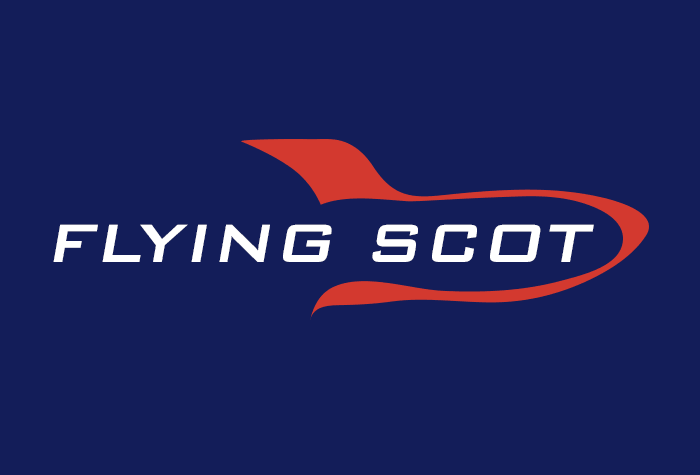 If you're worried, you can be there when they do and make sure the notes are right, but youll need to let Flying Scot know before you arrive and it will take half an hour and cost £5. The car park staff can assist disabled passengers. 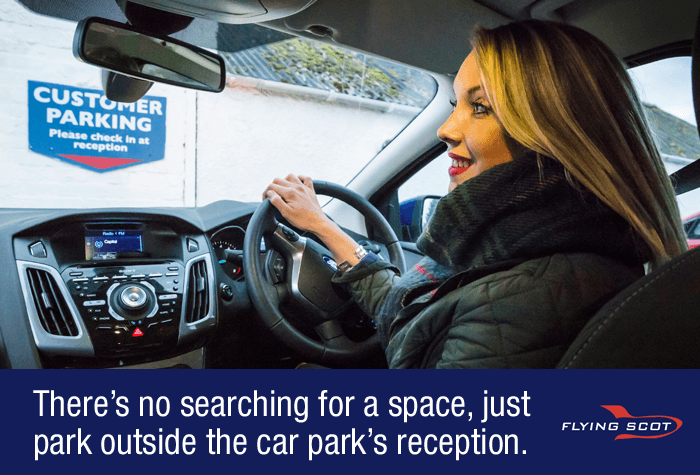 Call us on 0800 093 5478 and one of our team will contact the car park to make the arrangements for you. The car park's own coach runs every 15-20 minutes, 24 hours a day, and takes 3 minutes to reach the coach park at the airport. You'll then just need to walk 5 minutes to the terminal from the coach park. 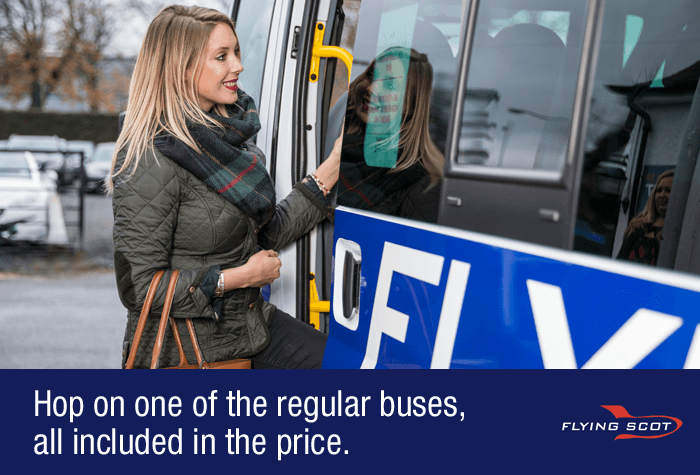 The coach is included in the price.